Electrical circuits aren’t an easy concept to understand and most home and business owners aren’t familiar with them. In the simplest terms, an electrical circuit is a path that electricity takes to get from the power source to the appliance and back. In most residential and commercial properties, the circuit emerges from the circuit breakers and fuses and travels through a complex system of wires, switches, and appliances. 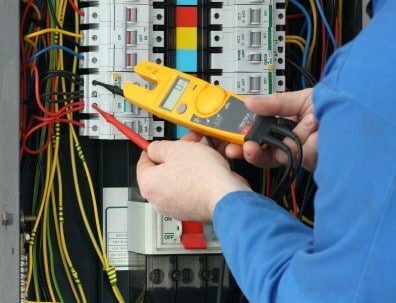 At Quick Connect, we have an expert team of electricians who understand the electrical circuit installation process like the back of their hand. They will make sure that your system is installed safely and efficiently. Regular appliances and light fixtures can work on regular circuits and don’t need a dedicated system. You can run several lights and fans on a single circuit without any problems. Our electricians will still isolate some circuits to ensure all power points get access to electricity and all devices. Why Should You Hire a Professional for Electrical Circuit Installation? Our electricians will arrive at your property and discuss your electrical requirements with you. They will look at the architecture of your property, study the existing system, and determine how to install the circuits accordingly. They will use high-quality wires, breakers, switches, and switchboards to ensure electricity flows smoothly through the entire system. They will double check the system carefully to ensure it works efficiently and is unlikely to cause problems before they consider their job done. Our electricians are well-trained and experienced. They also have the right licenses and certifications to handle these jobs. If you want to know more about electrical circuit installation or have questions regarding our services, don’t hesitate to get in touch with us at Quick Connect. You can call us on 1300 725 894 or enter your details and questions in this contact us form.